The House Ways and Means Committee has voted on several pieces of legislation to expand access to Health Savings Accounts (HSAs) and suspend penalties under the Affordable Care Act’s employer mandate to provide health insurance. The employer mandate required companies with 50 or more employees to provide qualified health benefits or face penalties. As The Hill reported, Congress repealed the penalty associated with the individual mandate last year, but it doesn’t take effect until 2019. The bill approved by the committee would suspend penalties for the employer mandate for 2015 through 2019. It was one of 11 bills approved by Ways and Means this week, according to The National Association of Plan Advisors. The committee also voted to allow consumers to carry forward balances on flexible spending arrangement accounts and increase the contributions limits on HSAs. One of the bills approved (H.R. 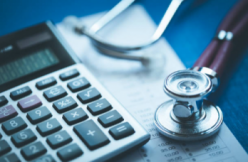 6306), sponsored by Rep. Erik Paulsen (R-MN), would increase the maximum HSA contribution limits so that the limits would be matched to the combined amount of the annual deductible and out-of-pocket limitation of high deductible health plans (HDHP). The current limits on annual contributions that can be made to an HSA for 2018 are $3,450 for self-only coverage and $6,900 family coverage, but, under the legislation, those limits would nearly double, rising to $6,650 for self-only coverage and $13,300 for family coverage. These dollar threshold limits would be subject to annual inflation adjustments.